Caralicante.com offers an easy way to rent a car in Alicante and the best car rental agencies like Alamo, Europcar, Nacional, Sixt, Avis car hire, etc. Car hire Alicante is the best option for moving in Alicante, as there are many places to visit like Benidorm and Calpe. Choose the place where you would like to hire the car as well as the start date of the rental and in just a few seconds you are able to compare the prices between our different car types and even reserve the car right away. 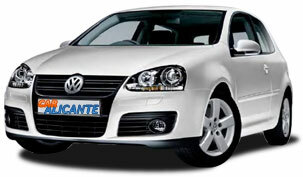 Take a look at our latest Alicante car hire offers. There is no need to move around in different means of transport. If you wish so, we deliver your car directly to Alicante airport or to any other place stated in our reservation system. Car hire Alicante airport is the best option for your transportation; if you are looking for comfort and to rent a car at Alicante airport, we can offer you the cheapest car hire in Alicante. Our car models include luxury car hire, economy, family car hire...just select the car selection group which fits the best to your needs. Do you need any help reaching your destination? Have look at our section “Alicante Maps”. Here you find street maps of the most popular places which certainly shouldn’t be missed and routs how to get to the best beaches of Denia, Benidorm and San Juan. Have a look at our Alicante map and find out more about the location of Alicante in Google Maps. It’s really easy to use and we hope it’s useful during you holidays in Alicante, Spain. Alicante with about 322,673 inhabitants counts on first class connections by the means of supraregional bus services, an international airport (aeropuerto de Alicante), a train station, a commercial harbour and a marina. Once arrived in Alicante you will never want to leave again. Alicante airport is situated very close to the city and counts on a modern terminal with a wide and colourful structure which perfectly matches with the spectacular local climate. Alicante not only boosts bays, cliffs and caves, but also great rocky beaches contrasting the wide sandy surfaces and everything is surrounded by quietness and crystal clear waters. The Alicante beaches symbolize the ideal selection for your perfect holidays. As we are aware that planing a journey is by no means an easy task we would like to help you with our useful guides including addresses and telephones of the main hotels in Alicante making your hotel reservation much easier and faster. Do you like golf? Take a look at our list of golf courses in Alicante where you find their service telephones and web sites. For any further information, don’t forget we provide up-to-date information about tourism in Alicante, weather, popular celebrations, restaurants and much more.